How do I find CE courses on CEBroker.com? Please review this tutorial for instructions on navigating the CEBroker website. Can hours earned from a CPR course be applied to the 24 hour continuing education requirement for licensure renewal? Hours earned after the completion of a Basic Life Support (BLS) course or an Advanced Cardiac Life Support (ACLS) recertification course can’t be applied towards the 24 hour continuing education requirement for purposes of licensure renewal. The Florida Board of Nursing adopted the position of the ANCC, effective as of June 1, 2011. BLS is no longer an augment to the nurse’s basic knowledge. Therefore it doesn’t meet the definition of continuing nursing education. Universities now require the student to be certified in BLS before ever entering the academic program. BLS is not an augmentation of knowledge; it is a basic preparation for training. The advanced life support activities meet the definition of CNE because they are not included in the nurse’s basic training and therefore augment that training. Why must I pay a $5.00 unlicensed activity fee to obtain a license or renew my license? The $5 unlicensed activity fee is required by Section 456.065, Florida Statutes, and is used by the Department of Health to fund efforts to combat unlicensed activity. All licensees pay a $5 unlicensed activity fee as part of their initial license fee and license renewal fees. Why must I pay a $5.00 student loan forgiveness fee to obtain a license or renew my license? The Florida Legislature established the Nursing Student Loan Forgiveness Program (NSLFP) in 1989 to encourage qualified personnel to seek employment in areas of the state where critical nursing shortages exist. The program provides funds to assist in the repayment of nursing education loans. All nursing licensees pay this $5.00 fee as part of their initial license fee and license renewal fees. Has there been a change to CE requirement rules and regulations? Yes, a new CE requirement was added during the 2017 legislative session. 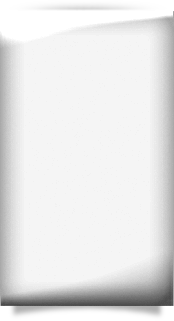 s.464.013(6)(C), F.S. now includes a new CE requirement for all Florida nursing professionals. How many continuing education hours are required for licensure renewal? 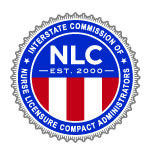 Licensed Practical Nurses, Registered Nurses, and Advanced Practice Registered Nurses are required to complete 24 hours of appropriate CE during each renewal period, including two (2) hours relating to prevention of medical errors, two (2) hours in Laws and Rules in Nursing, (2) hours in Human Trafficking, and (2) hours in Recognizing Impairment in the Workplace every other biennium (every 4 years). In addition to these 24 hours of general CE, every third renewal two (2) hours of domestic violence CE must be completed for a total of 26 hours. APRN must also complete (3) hours in Safe and Effective Prescription of Controlled Substances. See Sections 456.013, 456.031, and 456.033, Florida Statutes, and Rule 64B9-5, Florida Administrative Code (FAC) for more information about continuing education requirements. A nurse who is certified by a health care specialty program accredited by the National Commission for Certifying Agencies or the Accreditation Board for Specialty Nursing Certification is exempt from continuing education requirements. This exemption includes general and mandatory nursing continuing education with the exception of Human Trafficking and Safe and Effective Prescription of Controlled Substances. Nurses who holds both a RN and APRN license may use the same credit hours toward both licenses but must make sure to report them under both licenses for CE compliance. My license is expiring soon and I did not receive a renewal notice. What should I do? Renewal notices are now sent out as postcards. You may renew online at www.flhealthsource.gov. Your ID and Password can also be reset at www.flhealthsource.gov or you may call 850-488-0595. Remember, if you wait until the last minute you may run into long wait times. How long does it take to renew my license? Renewal postcards are sent at least 90 days before the expiration date. You should renew as soon as possible after receiving your notice. Please allow 1-2 weeks for receipt of your new nursing license. To expedite your renewal you may renew online at www.flhealthsource.gov. Your ID and Password can also be reset at www.flhealthsource.gov or you may call 850-488-0595. Can I continue to work if I have not received my new license by the expiration date? Yes, nurses who have proof of current licensure may continue to practice without your new license. You can obtain proof of renewal by renewing online where you are able to print a receipt. This should allow you to continue working, but it is ultimately up to your employer. The Department of Health, Medical Quality Assurance will verify a practitioner’s continuing education record in the electronic tracking system at the time of renewal. Practitioners will be able to view their course history in the continuing education tracking system free of charge. The course history will show all the courses that have been reported for the practitioner. 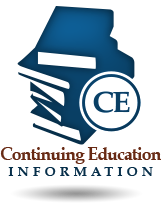 If the practitioner’s continuing education records are not complete, they will be prompted to enter their remaining continuing education hours before proceeding with their license renewal. If the practitioner does not have the hours to report, the license will move to a delinquent status at expiration. In order to renew a delinquent license , the practitioner will be required to complete the continuing education requirements. Additional fees may apply. Please note, if you take a course from a Florida Board approved Provider they are required to report on your behalf. If you take a course from a National organization it is your responsibility to report completion. Does the continuing education provider report my completed continuing education units? If you take a course from a Florida Board approved Provider, they are required to report on your behalf. If you take a course from a National organization, it is your responsibility to report completion.